Adding a Swimming Pool – While it seems that most homes in our area have a swimming pool, the cost of installing one generally outweighs the value that it will add to your home when it’s time to list. Additionally, keep in mind that not every potential homebuyer wants the expense and maintenance of a pool. Investing in Renovations That Aren’t Universally Appealing – Fabulous new lighting fixtures, designer paint and flooring, expensive window treatments; these can be tricky if you go too trendy or stylistic. Instead of focusing on what you would like, compel yourself to choose what is generally appealing to a broad target market. 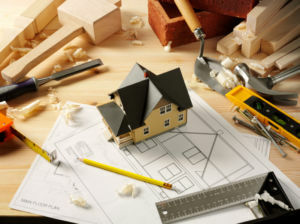 Bear in mind too, that not all “improvements” will actually give the home any additional resale value. Spending Too Much on Materials and Too Little on Installation – When it comes to the materials and the installers you choose, buy well and hire well. Sometimes homeowners spend the bulk of their budget on the most expensive materials they can afford, assuming it will translate to a higher ROI. But if it’s installed with poor craftsmanship, even the finest materials can fall flat. Not Knowing When to Stop Upgrading – Don’t feel that you need to upgrade every facet of your home. The key here is to find the 20% of the upgrades that will add 80% of the value. Completing Renovations That Don’t Match the Neighborhood – The bulk of a home’s value is determined by comparables within the neighborhood. Even if you spend $75,000 to build a separate guest casita, if other homes in the area don’t have one, it will not add a dollar-to-dollar value to your bottom line. Refinancing Before Completing the Renovations – Some homeowners end up needing to refinance for cash out to complete the projects with a plan to do the work, then refinance with a higher appraisal amount. However, if the renovations aren’t finished when the appraiser comes out to the property, the loan will not fund.